As a professor, I find nothing better than hearing the success stories of my students. Currently I have two PhD students, Jingrui (Rain) Xie and Jon Black. Both of them are also working full time in the industry. This is the season of promotion announcements in many companies. Rain was promoted from Sr. Associate Research Statistician Developer to Research Statistician Developer, while Jon was promoted from Lead Engineer to Manager. Here I'm very pleased to feature their short biographies with the new business titles. For more details about their profiles, please check out the BigDEAL current students page. Congratulations, Rain and Jon, for the well-deserved promotions! 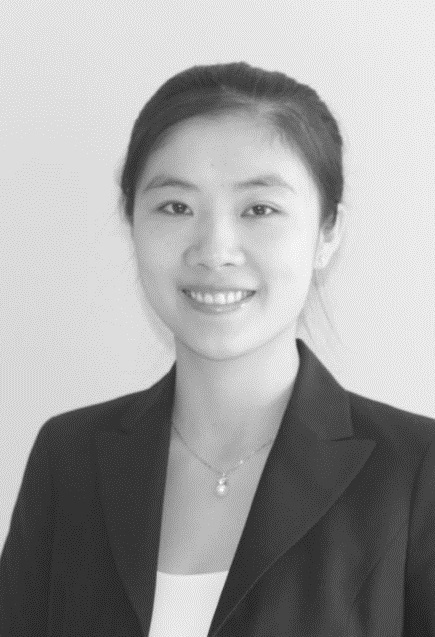 Jingrui (Rain) Xie, Research Statistician Developer, Forecasting R&D, SAS Institute Inc.
Jingrui (Rain) is pursuing her Ph.D. degree at UNC Charlotte where her research focuses on probabilistic load forecasting. Meanwhile, she also works full-time as a Research Statistician Developer at SAS Forecasting R&D. At SAS, she works on the development of SAS forecasting components and solutions, and leads the energy forecasting research. Prior to joining SAS Forecasting R&D, Rain was an analytical consultant at SAS with expertise in statistical analysis and forecasting especially on energy forecasting. She was the lead statistician developer for SAS Energy Forecasting solution and delivered consulting services to several utilities on load forecasting for their system operations, planning and energy trading. Rain has extensive experience in energy forecasting including exploratory data analysis, selection of weather stations, outlier detection and data cleansing, hierarchical load forecasting, model evaluation and selection, forecast combination, weather normalization and probabilistic load forecasting. She also has extensive knowledge and working experience with a broad set of SAS products. Jonathan D. Black, Manager of Load Forecasting, System Planning, ISO New England Inc.
Jon is currently Manager of Load Forecasting at ISO New England, where he provides technical direction for energy analytics and both short-term and long-term forecasting of load, distributed photovoltaic (PV) resources, and energy efficiency. 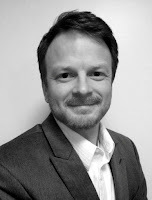 For the past three years he has led ISO-NE’s long-term PV forecasting for the six New England states based on a variety of state policy support mechanisms, and provided technical guidance for the modeling of PV in system planning studies. Jon is directing ISO-NE’s efforts to develop enhanced short-term load forecast tools that incorporate the effects of behind-the-meter distributed PV, and has developed methods of estimating distributed PV fleet production profiles using limited historical data, as well as simulating high penetration PV scenarios to identify future net load characteristics. Jon participates in industry-leading research on forecasting and integrating large-scale renewable energy resources, and has served as a Technical Review Committee member on several multi-year Department of Energy studies. Upon joining ISO-NE in 2010, Jon assisted with the New England Wind Integration Study and the design of wind plant data requirements for centralized wind power forecasting. Mr. Black is currently a PhD student researching advanced forecasting techniques within the Infrastructure and Environmental Systems program at the University of North Carolina at Charlotte. He received his MS degree in Mechanical Engineering from the University of Massachusetts at Amherst, where his research at the UMass Wind Energy Center explored the effects of varying weather on regional electricity demand and renewable resource availability. He is an active member of both the Institute of Electrical and Electronics Engineers (IEEE) and the Utility Variable Generation Integration Group (UVIG).